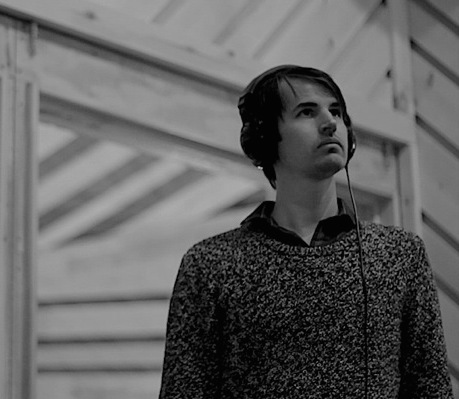 Andrew B. Munsey is a sound engineer, musician and creative collaborator who works across the fields of contemporary and experimental music, cinema, and television. Since 2008, he has been active throughout the New York City creative music community, engineering projects for Innova Recordings, NNA Tapes, Breakup Records, and Circle Into Square Records while having performed and premiered works throughout North America as a drummer/percussionist including at Lincoln Center, Walt Disney Concert Hall, and Symphony Space. In 2010, he formed the Brooklyn-based production outpost BK Sonic Works, which focuses on creative sound and musical collaborations with artists, filmmakers, and composers producing works for cinema and installation. In this role, his work as a sound designer, mixing engineer, and composer has been exhibited and screened at the Guggenheim Museum, Centre Pompidou (FR), Fridericianum (DE), Van Gogh Museum (NL), Anthology Film Archives, and the Library of Congress with festivals including the International Film Festival Rotterdam and the Sundance and Toronto Film Festivals. His work as a sound mixer for television can be heard on the Discovery International, Smithsonian, Comedy Central, and Spike TV networks. Munsey received his BFA in Jazz Studies from the California Institute of the Arts under the mentorship of Joe LaBarbera where his teachers also included Charlie Haden and Wadada Leo Smith.